Lowell’s Mixed Seafood Salad, Anna Cheung’s favorite lunch, every Friday, at the back 3rd floor window table! 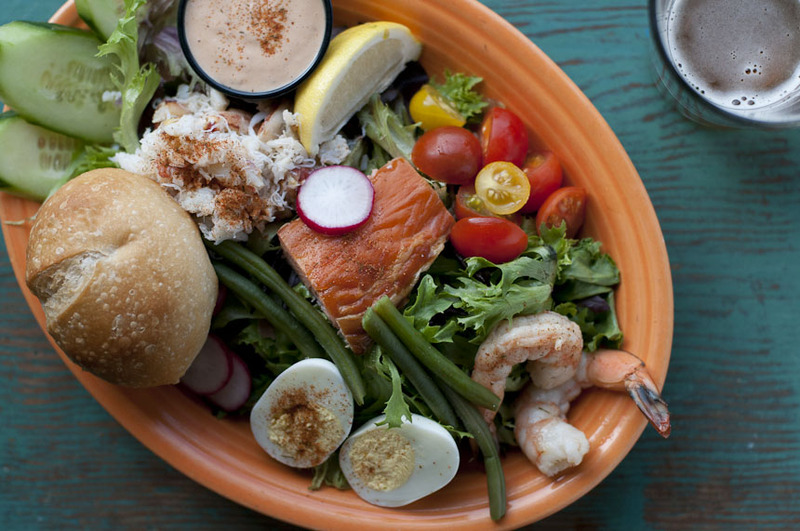 Mixed Arcadian Field greens with Dungeness crab, hot smoked fresh local salmon, grilled & chilled prawns, baby cherry tomatoes, cucumbers, paper thin sliced radish, hard boild boiled egg and 1000 island dressing on the side! Alway’s on our menu, just ask Anna! Happy Holiday’s from your family at Lowell’s! If Anna loves our “Mixed Seafood Louie” salad, you will too! Anna has turned more friend’s onto this salad than Ashlea & Ron have turned people on to our fantastic grilled alaskan Cod tacos! enjoyable blog (I also love the theme/design), I don’t have time to read it all at the moment but I have book-marked it and also added your RSS feeds, so when I have time I will be back to read much more, Please do keep up the awesome job. Some cash have been far too significant to drop down from the machines. There is a program referred to as Id Cloaker which operates from a USB memory stick, as long as you have legal rights to operate a method on the laptop or computer then you can operate Id Cloaker. are significantly hunting to get into Black women white adult males variety of relationship. Taking the model described above, you have to make some friends and followers first. listen to the humor without having to read anything. take care of such info much. I was looking for this certain info for a long time. cognitive theory, and theory of reasoned action. yet fabulous specimens to wear their collection. professional in their approach and take good care of their client. wstrzymaniem pozwoleń do zbitego dobrobycie.